Levi's 501® Skinny is the newest addition to the 501® family. 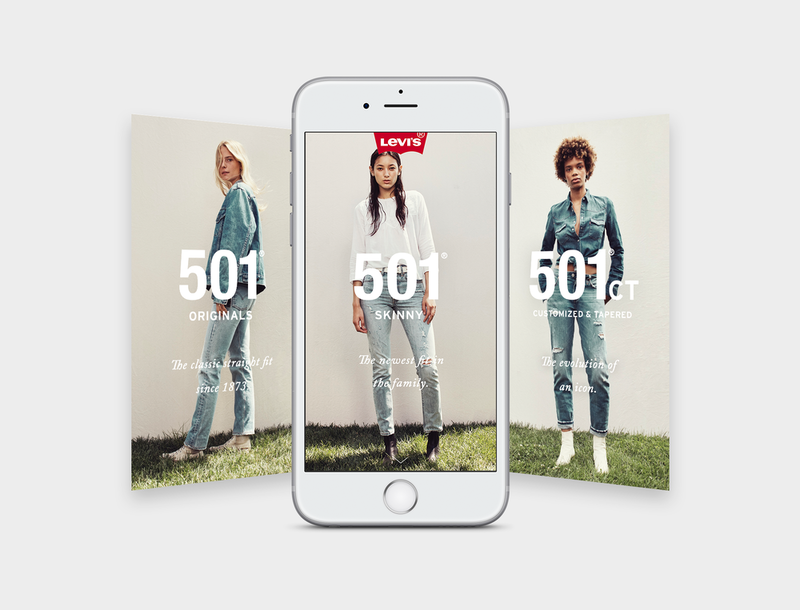 In order to highlight its details and show how it fits into the 501® family, Levi's created a Facebook Canvas to showcase the 501® Skinny. We started by reviewing what the client wants to display and brainstormed ideas on what is the most effective way to showcase the 501s. 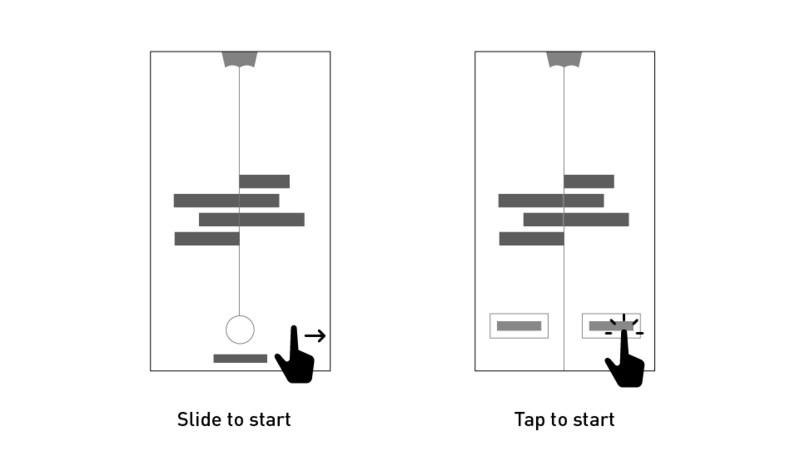 This began a process of wireframing, sketching, and exploring different interactive designs. We came up with two streams of interaction models: one is utilizing the interactive models offered by Facebook Canvas by default, and another one is more innovative and requires more development. This gives us an opportunity to push our designs further and explore options beyond our boundaries. At the end, due to constraints outside of our control, we decided to go with the first option and utilized Facebook Canvas’s default interactions. The clients were very excited about the results and loved the variety of options we gave them. By exploring a variety of interactive options, we’ve opened a door of possibilities to how we can push Facebook Canvas and similar Progressive Web App tools. Utilizing Facebook Canvas's 'tilt-to-pan' feature, the user can pan through the other members of the 501® Family, including the Originals and Customized & Tapered.